Lil Peep – Cry Alone (New Music). Lil Peep comes through with a new song titled Cry Alone. This is the first track from a collection of music we’ll be hearing soon from Peep. Come Over When You’re Sober Pt. 2 will be released on November 9. “Cry Alone” arrives after much work was done on the first posthumous body of work by Lil Peep. Gus passed away last year and since then, we’ve heard his voice on a few different records. The most recent have been collaborations with XXXTentacion and iLoveMakonnen as his “Sunlight On Your Skin” hook was repurposed on the X track. 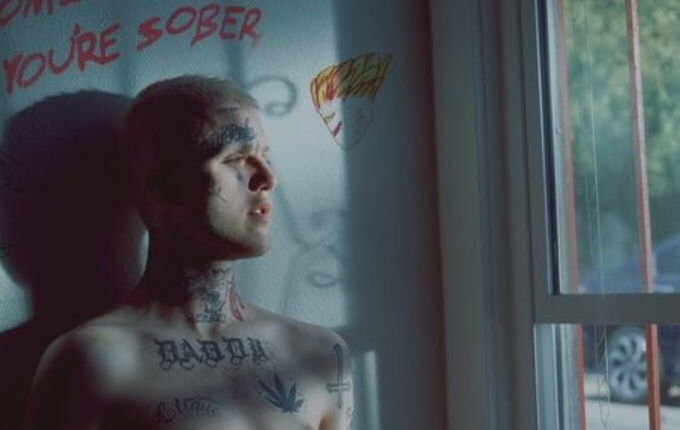 Accompanied by some footage of the superstar while he was alive, Peep’s new video is a little bittersweet to watch. The song is as emotional as you would expect from the artist as he goes on about hating everybody in his hometown and wanting to burn his old school down. Listen to Cry Alone by Lil Peep below.